Are you looking for free stencils? Do you want to download stencils? In that case, you can enter Spraypaintstencils.com and find a large database of free stencils including stencils of animals, sport stencils and music stencils among many others. What is more, on Spray Paint Stencils you will be able to download stencils of Michael Jackson, Madonna and Elvis Presley in addition to stencils of Marylin Monroe and Freddie Mercury. Furthermore, notice that zodiac sign stencils are available as well as ancient English font stencils. To download these stencil templates you just need to enter the site, no registration is required. Are you looking for stencils online? 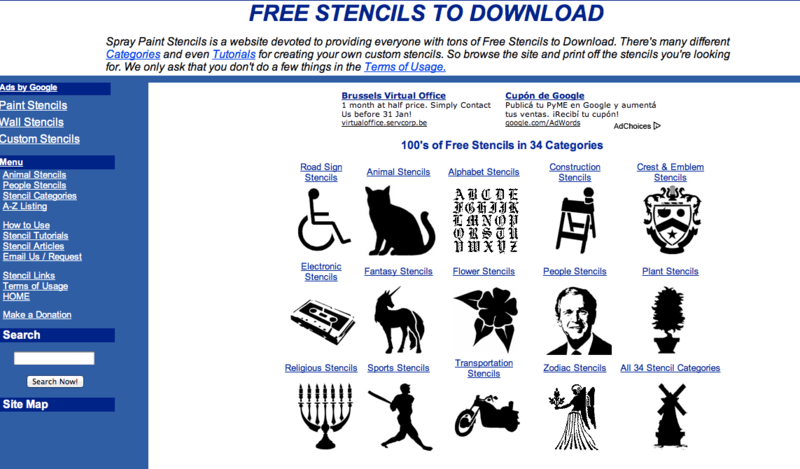 Do you want to download free stencils of all kinds? In that case, you can visit Spraypaintstencils.com and download ancient English font stencils, zodiac sign stencils and sports stencils. Remember to stop by Spraypaintstencils.com next time you want to download stencils for free.